Now it’s time to squeeze all the moisture out of the zucchini (nobody likes soggy fritters). Note: if you’re really salt sensitive, you may want to rinse the zucchini with water, then squeeze it out. 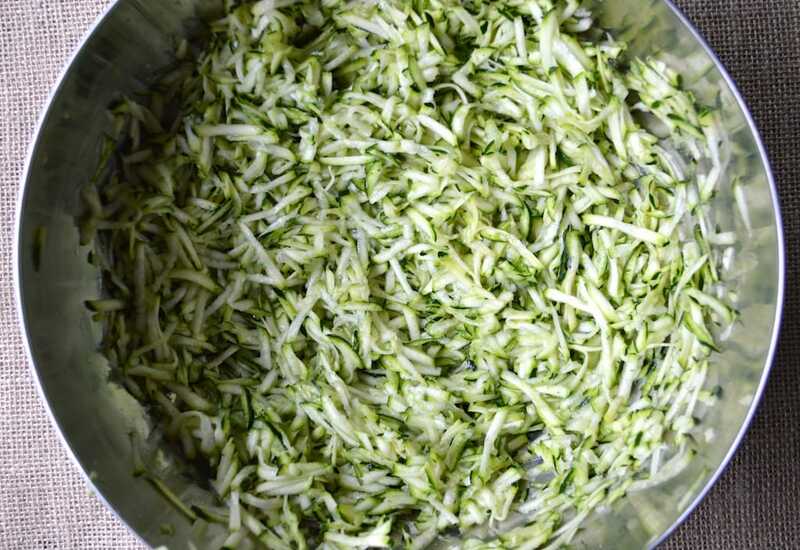 Scoop up a generous handful of the zucchini and squeeze the living daylights out of them into a sink or bowl. You want them dry. Place in a different bowl. Heat a large skillet over medium-low heat. Melt a large spoonful of ghee or coconut oil in the pan. 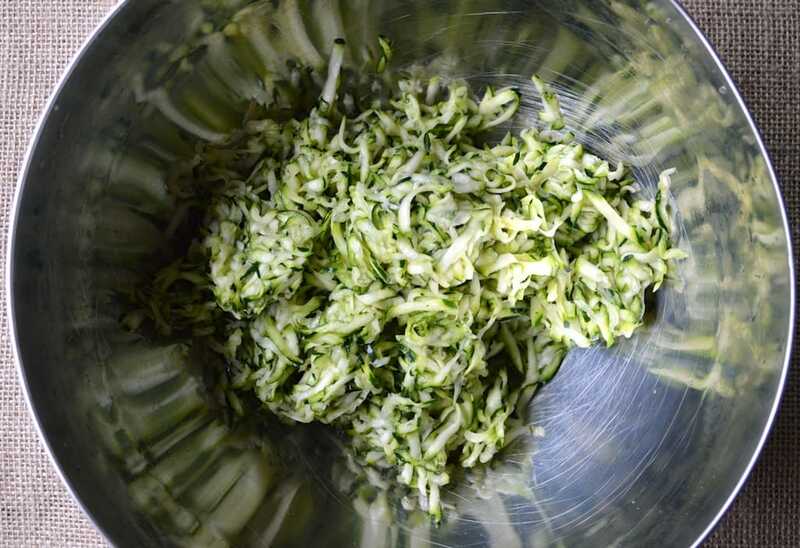 Pack a 1/4 cup measuring cup with the zucchini mixture, pressing it down inside the cup. Turn the cup out onto the pan and flatten the zucchini until you get a patty. You can also use a disher or just eyeball it. I fit about 4 – 5 in a large skillet at one time. Cook each side for 3 – 5 minutes or until nicely browned. Repeat until you‘ve used up all the zucchini mixture. Be sure to add more ghee or coconut oil to the pan each time you start a new batch.